Do You Have the Right Grit? What is the best sandpaper for lure making if I could only pick one? 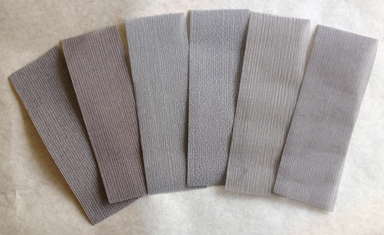 There are many kinds of sandpapers and brands made for all kinds of uses. In most of the traditional sand papers the material used for abrading the wood is usually garnet. Grit size refers to the size of the particles of abrading materials embedded in the sand paper. Traditional grit sizes range from what are classified as Macrogrits and Microgrits. Macrogrits range in grit size from extra coarse 24 grit up to a very fine 220 grit. Microgrits range in grit size from a very fine 240 grit to ultra fine 1000 grit. After trying many of the different grit sizes for sanding wooden lures I came to the conclusion the the 3M Wet/Dry 120 grit was the best one for my use. The one I used for years comes in 9x11 flat sheets. I cut it into 1 inch wide strips to use in sanding. Most of the sanding I do is with the strips and sanding the lure body as it is turning in a lathe. As good as the traditional sandpaper is; it has two downsides that shortens the usefulness of the sandpaper. The first is that the garnet particles on the paper load up with the wood you are abrading and makes it ineffective. Secondly, the garnet particles will get worn away from the paper making it ineffective. After many years of using the traditional sandpaper, I will not be using it anymore. I recently learned of another sanding material called Abranet sanding material. It is available in strips, sheets, discs, and rolls. Most of the strips and sheets are available in either 8 inch or 5 inch lengths. The rolls come in up to 30 foot rolls and is 2.75 inches wide. The discs are available in 5 inch diameter. It is more like a sanding fabric than sandpaper. The fabric is porous and the abraded wood sifts right through the fabric and there is no buildup of abraded material. To clean it if needed you can simply shake it or blow on it. What I have used so far are the 2.75 inch wide x 8 inch long strips. I cut the strips into 3 pieces with scissors and use it exactly as I have used traditional sandpaper. Wide ranges of grit sizes are available in Abranet including, 120,180,240,320,400, and 600. Abranet sanding strips can be found at a number of places but I got my first product at Rubberchucky.com where they sell kits of the 2.75 inch x 8 strips. The kit has 6 pieces and has the grit sizes listed just above. Use scroll bar on right hand side of posts to see all posts. 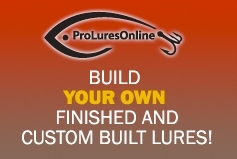 -Pro Lures Online Now Open! -Do You Have the Right Grit? -It's Not The Pretty Colors!